“I am anxious to see how the fellow looks in book form . . . ."
William Osborn Stoddard, 1835–1925. American author and inventor; assistant secretary to President Abraham Lincoln, 1861–1864. Scarce Autograph Letter Signed, W. O. Stoddard, one page, 5½ x 8½", on plain stationery, Hempstead, Long Island, New York, May 29, 1890. 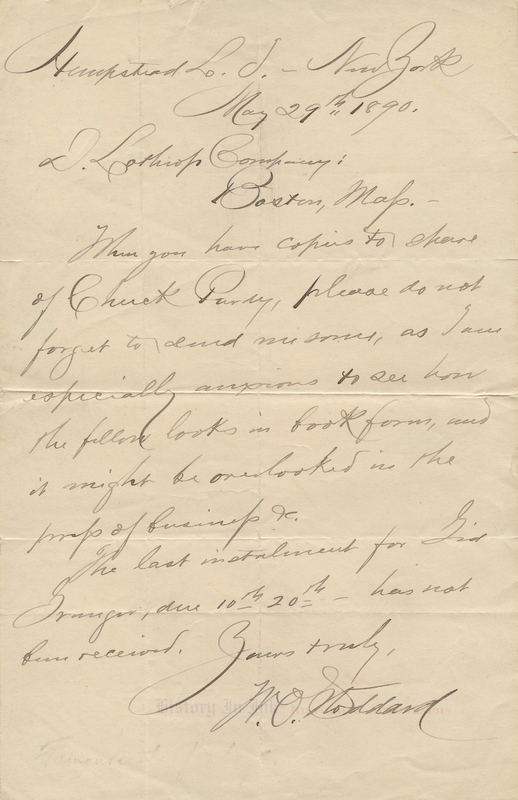 Stoddard writes to remind his publisher, D. Lothrop Company of Boston, to send him copies of his book Chuck Purdy: The Story of a New York Boy (1890), and apparently to note that he has not yet received proofs due him for his upcoming book Gid Granger: The Story of a Rough Boy (1891). He writes, in full: “When you have copies to share of Chuck Purdy, please do not forget to send me some, as I am especially anxious to see how the fellow looks in book form, and it might be overlooked in the press of business etc. / The last instalment [sic] for Gid Granger, due 10th 20th – has not been received." Stoddard was an early supporter of Abraham Lincoln. He worked as an editor for the Chicago Daily Ledger in 1857 before becoming the editor of the Central Illinois Gazette in West Urbana, Illinois, in 1858. A Republican, Stoddard met Lincoln in 1859 and used the Gazette to promote his presidential candidacy. After the Civil War, Stoddard turned to writing, principally books for children. He published more than 100 books, among them Chuck Purdy and Gid Granger, which he mentions in this letter. His non-fiction works included Life of Abraham Lincoln (1884); The Lives of the Presidents, in ten volumes (1886–1889); Inside the White House in War Times (1890); and The Table Talk of Lincoln (1894). Stoddardʼs autograph material appears to be scarce. Our search of auction records found only three other autograph letters signed, including one discussing Lincoln that brought $750 in 2013; two signed photographs, one of which brought $425 in 2011; and an 1864 land grant, signed by Stoddard for Lincoln, that brought $600 in 2016.  This letter is in fine condition. It has intersecting folds, small fold breaks at the ends of the middle horizontal fold, and old dealer pencil notations identifying Stoddard on the back. Stoddard has written and signed the letter in black.